Then, a few days/weeks/months later, the inevitable happens: either your USB drive gets corrupted, or, even worse, you end up losing the drive itself. Or it breaks…or gets wet…or the file system gets corrupted…or someone borrows it from you and never returns it. Your USB drive gets corrupted and you end up losing all your files. And then of course comes the whining, panicking, crying, cursing, slamming the computer and (in my experience) the most common: running to a lecturer, asking for an extension due to ‘extenuating circumstances’ (resulting in an obvious “NO”). The answer to all your problems……….is………. *wait for it*………the CLOUD. 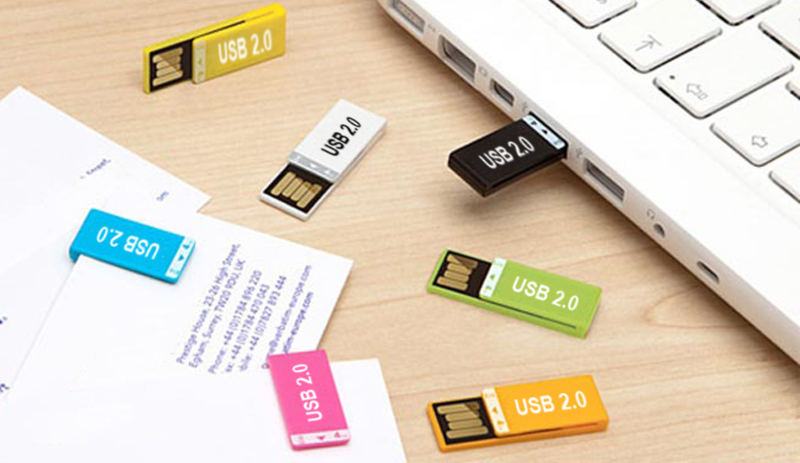 Instead of carrying a USB drive with you 24/7, why not just use cloud storage? Services like DropBox, OneDrive, iCloud, Google Drive, Box.com, OwnCloud, MyCloud etc., which are all cloud storage services, and mostly FREE. All your files are safely stored, with backups even. You can never lose the cloud! It’s always available. It aids teamwork, allowing multiple users to edit files at the same time. It’s automatically updates files incrementally, saving you time and effort. Huh? Which Cloud? What now? What if it’s a day with a clear sky? There are these computers called “servers”, which are high end computers with enormous storage space, lots of processing power and really fast internet, located in many buildings (called data centers) all over the world. These data centers are highly secured, i.e. protected from weather, fire, cyber crime and obviously unauthorized physical access. How does your USB drive compare to this? As you can imagine, data centers host enormous amounts of extremely important information on their servers in the form of digital files, applications and databases. This information is then made accessible to relevant parties through the Internet, by robust authentication methods. Can I really trust cloud storage? A note about security: hackers come up with new methods to penetrate secure systems every single day! So is your data guaranteed to be safe? Well…no, but then again, how secure is your USB drive anyway? How do you know that every time you plug it in to your school computer, an automatic copy isn’t saved on the school server? Besides, suppose a hacker gains access to 3 billion files in a single attempt. How many do you think he’s going to actually open and read? Oh and of course “intellectual property rights”, “data mining” and all of that jargon. Is cloud storage affected by that at all? Well yes and no. Many universities provide Google Apps for education (an email account resembling GMail), which Google agreed to in court, not to indulge in data mining. Other universities use Microsoft’s Office 365, which never accesses your private data either. What about the rest? Well I honestly don’t know. But nothing can ever be too safe. Life is all about taking risks, right? Have you any questions? Suggestions? Anything else? Comment below and we’ll discuss! * DISCLAIMER: THIS IS NOT A MARKETING POST. I HAVE NO AFFILIATION WHATSOEVER WITH DROPBOX, ICLOUD, GOOGLE DRIVE, ONEDRIVE, GOOGLE APPS, GMAIL, OFFICE 365, MYCLOUD, OWNCLOUD, BOX.COM, WINDOWS, MAC, LINUX, IOS, ANDROID AND ANY OTHER CORPORATE TRADEMARKS THAT ARE MENTIONED IN THIS POST.